At the 2003 meeting of the International Whaling Commission Scientific Committee, scientists from the U.S. and the U.K. estimated global cetacean bycatch (the entanglement of cetaceans in fishing gear) at more than 300,000 mortalities annually. 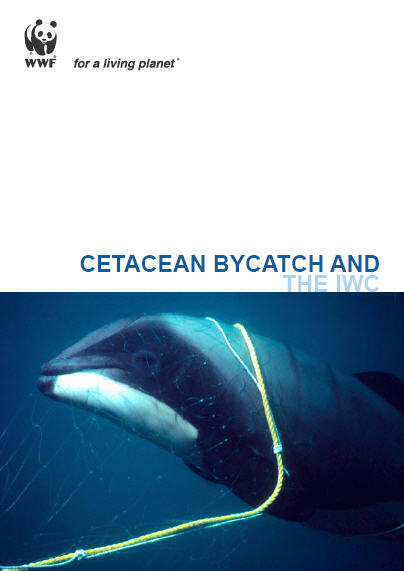 Although it has sometimes been difficult to draw attention to the magnitude of the problem, as an issue of population management and conservation, there is no intrinsic difference between bycatch and whaling. Both remove animals permanently from the wild population, and both require international action. For some populations that were the subject of whaling in the past, bycatch has simply replaced whaling as a mortality factor.